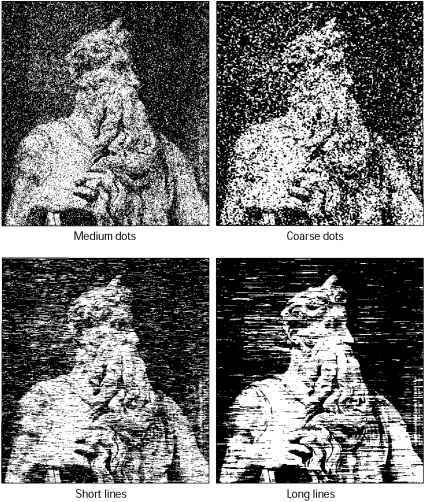 Unsharp Mask locates pixels that differ from surrounding pixels by the threshold you specify and increases the pixels' contrast by the amount you specify. In addition, you specify the radius of the region to which each pixel is compared. The effects of the Unsharp Mask filter are far more pronounced on-screen than in high-resolution output. If your final destination is print, experiment to determine what settings work best for your image. 1 Choose Filter > Sharpen > Unsharp Mask. Make sure the Preview option is selected. 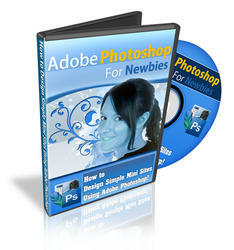 9 Click on the image in the preview window to see how the image looks without the sharpening. Drag in the preview window to see different parts of the image, and click + or - to zoom in or out. • Drag the Amount slider or enter a value to determine how much to increase the contrast of pixels. For high-resolution printed images, an amount between 150% and 200% is usually recommended. • Drag the Radius slider or enter a value to determine the number of pixels surrounding the edge pixels that affect the sharpening. For high-resolution images, a Radius between 1 and 2 is usually recommended. A lower value sharpens only the edge pixels, whereas a higher value sharpens a wider band of pixels. This effect is much less noticeable in print than on-screen, because a 2-pixel radius represents a smaller area in a high-resolution printed image. • Drag the Threshold slider or enter a value to determine how different the sharpened pixels must be from the surrounding area before they are considered edge pixels and sharpened by the filter. To avoid introducing noise (in images with fleshtones, for example), experiment with Threshold values between 2 and 20. The default Threshold value (0) sharpens all pixels in the image. If applying Unsharp Mask makes already bright colors appear overly saturated, convert the image to Lab mode and apply the filter to the Lightness channel only. This sharpens the image without affecting the color components.